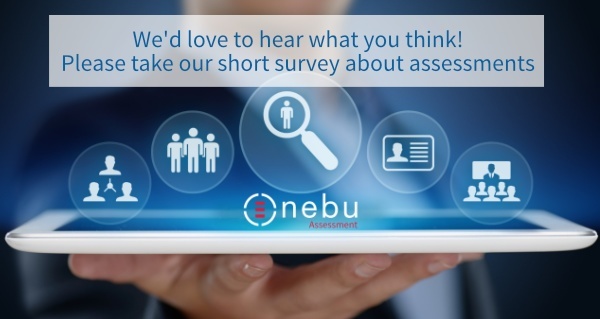 Nebu Assessment is a platform designed with coaches, consultants and HR specialists in mind. An intuitive and robust solution, designed for everyone using Model-based Assessments. It provides a baseline for identifying ways to improve the effectivity or efficiency of persons, processes or even entire companies. 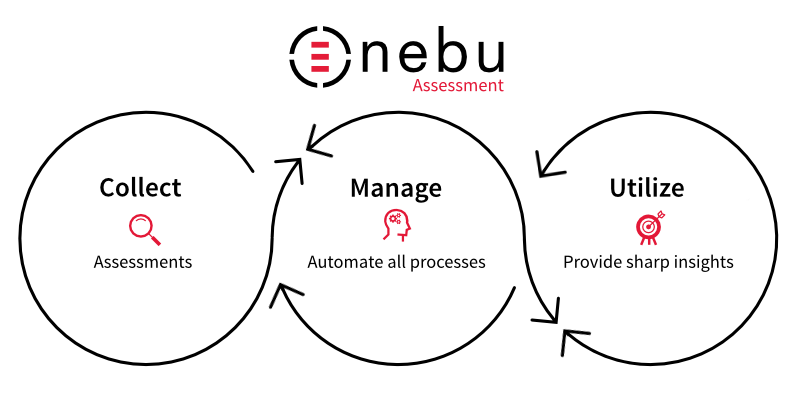 Nebu Assessment users set up an assessment process once, and the tool takes care of fully automating the flow of collecting, managing and utilizing data to provide the detailed insights needed by coaches and assessees without any additional manual work. The first one is to create an engaging assessment. Here the sky is the limit: it can be a relatively simple survey or a complex multilingual questionnaire with sophisticated rules regarding which questions are to be displayed based on given answers and detailed scoring rules. In the second step, users work with the report module to define rules enabling the automatic generation of a beautiful model-tailored report based on the completed assessment. Depending on the specific needs a single straightforward report may be defined and generated, but also multiple benchmark reports, on various levels, e.g., peer comparison or hierarchical reports. Such reports can be created based on the same questionnaire to make life easier. In the third step, the specific model-based assessment is put into operation. The tool supports users in managing assessees on all different levels, e.g., groups, team organizations, campaigns and even stakeholders not directly involved in the assessment, like the CEO. Nebu Assessment allows users to import contact details of trainees, add or remove single members, assign access rights to other users. It provides users with a campaign module to prepare & send invitations and monitor the progress of completion. Also, the access to the reports can be fully managed, such that these can be automatically made available to various parties involved in the assessment process (like coaches, assessees, teams, etc.) and or key stakeholders. "After an extensive global search for a development partner to build The 5 States assessment, we selected Nebu. The reason is threefold; owner managed business with highly skilled developers, a keen interest in our business and vision, a fast development path to allow us to get to market quickly. 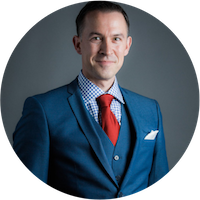 I would highly recommend working with Nebu," Brendan Foley, The 5 States. Nebu is one of the leading technology providers for the Marketing Research Industry. Established in 1993 in the Netherlands, for over 25 years successfully delivers the best of a breed, robust and flexible tools that integrate and automate the entire market research process: from collecting and managing to utilizing your all your data. Click here to learn more about Nebu Data Suite.